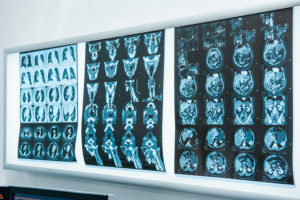 If you’ve been told that you need to undergo an MRI for diagnostic purposes, you’ve probably started looking into the different options available to you, and you might’ve come across something known as an, “open MRI.” Tahoe Fracture & Orthopedic Medical Clinic, conveniently located near Mammoth Lakes, California, is pleased to offer open MRI technology, which presents a number of advantages over traditional closed unit machines. Many people, especially children and claustrophobic adults, find undergoing a traditional MRI to be a daunting experience because the test requires them to remain enclosed in a long tube for an extended period of time. Our open MRI machine — which features a wide, rotating table instead of a closed tube — helps to alleviate these fears. Patients can see their surroundings and can even hold onto loved ones, if needed. Larger patients, such as those with particularly wide shoulders, oftentimes have trouble fitting into traditional closed unit machines. Even if they do fit, the scan can be a very uncomfortable experience. Our open MRI machine is better able to accommodate patients of all shapes and sizes. MRIs tend to produce clearer images of the body parts located closest to the center of the machine’s magnet. Unfortunately, depending on where a patient is injured, he or she might not be able to position that area of the body close to the magnet in a closed unit machine. An open MRI machine makes it much easier to position someone in a way that will produce the clearest possible images of the injured body part. Plus, while metal implants might affect the quality of image produced in a traditional closed unit machine, there’s less chance of that happening with open MRI technology. If you’re in the Mammoth Lakes, CA, area and you’d like to learn more about the advantages offered by open MRI technology, please contact Tahoe Fracture & Orthopedic Medical Clinic today.